Harun Farocki’s classic essay film launches the dedicated film series for the exhibition Confict, Time, Photography. The series features key films that question how memory and confict are explored in cinema with films by John Gianvito, Serge Bozon and Nobuhiro Suwa among others from 30 January – 15 February 2015. Made 43 years after the second world war, Harun Farocki’s film Images of the world and the Inscription of War 1988 is one of the most celebrated works by this influential artist and filmmaker. The film focuses on the ‘blind spots’ in the interpretation of aerial photographs taken during an American bombing raid in 1944 of an industrial plant in Germany. Only decades later, when the photos were analysed by the CIA, was it realised that the Auschwitz concentration camps were also captured in these images. 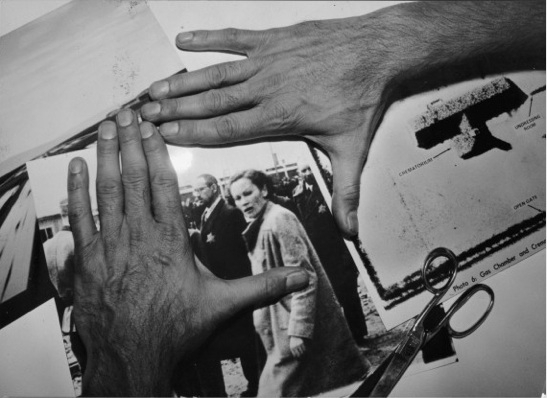 Farocki shows the links between war and photography, exploring how perception during times of conflict is conditioned by what people want or don’t want to see, rendering observers as either passive accomplices or victims in times of war. Film still. Harun Farocki, "Images of the world and the inscription of war / Bilder der Welt und Inschrift des Krieges", 1988.